Sean Brady’s lab developed a powerful technique to search soil bacteria for drugs. Though it involves a series of high-tech steps, the first is literal digging. Mom always said you could get germs from playing in the dirt. 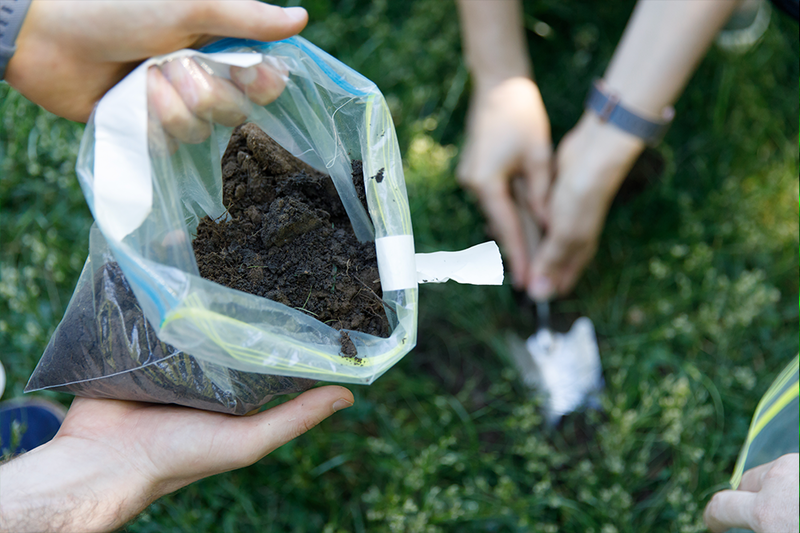 Now, scientists have taken that advice a step further: a Rockefeller University team collected more than 2,000 soil samples from nearby New York City parks, and around the world, in an effort to discover bacterial molecules with potential as drugs. Employing an innovative technique to sequence the genes of microbes living in soil, the researchers recently announced they have found a new class of powerful antibiotics called malacidins, which they hope could be effective against multidrug-resistant bacteria. In laboratory and animal testing, malacidins wiped out many infections, including some that have become resistant to traditional antibiotics. Moreover, infectious bacteria exposed to malacidins didn’t develop resistance to the new antibiotics in long-term lab experiments. The findings were published in the journal Nature Microbiology. Sean F. Brady, head of Rockefeller University’s Laboratory of Genetically Encoded Small Molecules, where the research was conducted, says it will take years of additional research before malacidins might be ready for human clinical trials. Still, the discovery could someday help address a looming public-health crisis, as existing antibiotics are increasingly losing their effectiveness against microorganisms that cause dangerous infections. Soil is a rich environment for microbiologists to explore. It contains a stunning array of microorganisms that are even more diverse than the human microbiome—a single gram of soil may contain thousands of species of bacteria. But the vast majority of these bacteria will not adapt to lab cultivation and have therefore not been accessible for scientific exploitation. Brady’s team solved that problem by pioneering a technique to identify possible drug compounds from microbial DNA in soil, rather than extracting these compounds from the microbes themselves. The method has made culturing unnecessary, and relies instead on high-tech tools like DNA sequencing and computational analysis. Their answer was to screen the DNA for genes resembling those coding for known drugs—in this case, a relatively new class of antibiotics that works only in the presence of calcium. These drugs have the added advantage that they don’t readily encourage infectious bacteria to build up resistance. One of the sequences the scientists found turned out to encode the malacidin molecules. The physical structure of these compounds, and the way they function, are different from that of other calcium-binding drugs. “They are brand new molecules,” says Brady. “They have never been seen before.” Nonetheless, malacidins are very common in nature—the researchers found them in one out of every ten soil samples they tested. Brady’s team is now studying variants of the newly discovered malacidin molecule to see if another analog might work even better as a germ killer. In addition, the researchers are ramping up their search for new antibiotics. If new therapies aren’t developed, world-wide deaths due to untreatable infections are predicted to rise more than ten-fold by 2050. Continuing research efforts could help reverse that trend, Brady says. “Amid the doom-and-gloom predictions for antibiotics’ future, there’s promise to go back into this extraordinarily productive well and see whether we can find an additional round of really helpful antibiotics,” he says.